There are plenty of animes out there that are packed with happy characters, upbeat music, and plenty of cutesy references. However, if you prefer your entertainment on the darker side, you’re in luck. The world of anime is incredibly diverse, and there are plenty of dark horror-inspired series to appeal to the Halloween fan in you if you need some prime viewing to accompany your online betting. 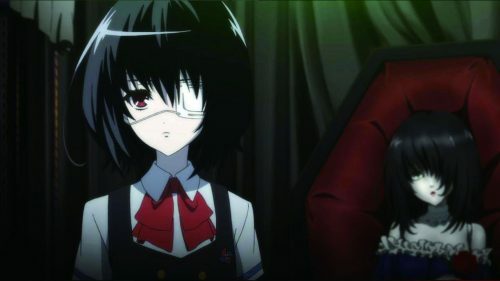 Check out these top 5 dark animes the next time you’re in need of prime entertainment! Airing for the first time in 2004, Monster is told from the perspective of up and coming surgeon Kenzo Tenma as he tries to track down the mysterious ‘ghost’ that has caused a spate of inexplicable murders. The anime provides a stark and honest characterization of a genius psychopath living in post-World War II Germany, and offers suspenseful, clever screenplay. Commonly classified as a thriller anime, Monster is a must-see in the dark anime category. Its plot and storyline are deep and substantial, it unfolds at a palatable pace, and if you’re a first time watcher, it contains a truly shocking twist of events to keep things interesting too. Also known as Blue Literature: No Longer Human, this anime is based on a classic literary novel by Osamu Dazai. It is one of several stories in the author’s Aoi Bungaku series, and follows the crumbling life of an ostracized high school student as he grapples with adulthood, and eventually death as well. The main character is plagued with depression and narcissistic tendencies, and finds it incredibly difficult to relate to other people. He believes that he is a failed human being, and he tells his story in an incredibly despairing, heart-wrenching way. The show is tragic too, containing themes of mental illness and alcohol abuse, and leaves viewers with a spine-crawling discomfort at the end. The main character’s fears are also portrayed as small humanoid demons, which adds even more darkness to the mix! This classic, which first aired in 2006, is one of the most popular animes of all time for a reason. It’s a must-see for dark anime fans and other fans of the genre in general, and follows the murderous but well intentioned rampage of Kira, a man turned self-proclaimed god figure. After his killing streak is noticed, detective L leads a manhunt against him, leading to an epic domino effect unfurling as the two main characters engage in a battle of intelligence and cunning. Death Note also includes a good helping of supernatural undertones with the incorporation of the apple-loving Shinigami, making it highly entertaining, suspenseful and enjoyable to watch. Expect some frustration as you try to figure it all out, though! No dark anime is complete without a supernatural element, and in this case, it’s vampires. 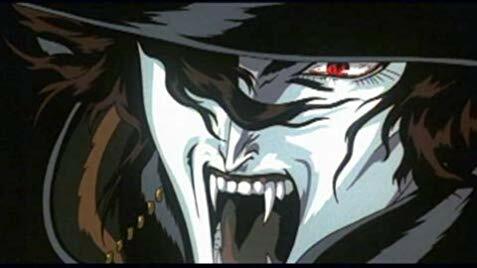 Vampire Hunter D has two versions, the first of which was released in 1986, and the second which aired in 2000. Both tales follow the first novel of Hideyuki Kikuchi’s series, which details the adventures of half-vampire half-human character D as he searches for his father and wipes out nobles along the way. He lives in a post-apocalyptic nightmare world that is heavily inspired by science fiction too, making for an interesting contract indeed. If you like vampires, this is the anime to try. Alucard is the most iconic vampire character in the anime world, having been modelled after the likes of Vlad Tsepes and Dracula. The OP Vampire King works for an organization fighting ghouls, rabid vampires, and even Nazi zombies, making for excellently dark entertainment with plenty of explosions, violence, and dynamic action.